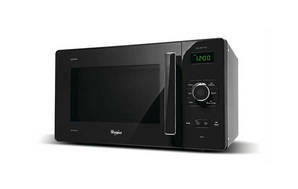 Snapshot: The Whirlpool GT286BLM is a microwave with a grill and crisp and has 5 power levels. How well does it defrost mince and chicken? Magic clean interior surface may help with cleaning. Stainless-steel front requires extra effort to clean. Technically the same as the GT286XI and GT286WH.